A mysterious music puzzle. A murdered coed. Sinister secrets. Three years ago, Scott Drayco left the FBI after an incident involving his partner, Mark “Sarg” Sargosian. Now a freelance crime consultant, Drayco often helps law enforcement on cases, but he never imagined his estranged former partner would turn up on his doorstep, pleading for Drayco’s help. A coed at an elite Washington, D.C., private college has been murdered, and the victim’s friend, Sarg’s own daughter Tara, might be the next target. The killer left behind a puzzling music code at the crime scene, and Drayco soon learns he has two things in common with the murdered girl – a music background and synesthesia. The case takes an even stranger turn after a second murder and a second music code, with signs pointing toward a possible ritualistic killer. Then, Drayco himself starts receiving coded messages . . .
Dyrco made me a little upset in Dies Irae. Only because of Darcie though… There’s just somethin about her that I don’t like, at all. Every time she comes around, I’m praying he says ITS OVER!!!! Yes, that’s weird, but he deserves someone a lot better. I feel as if she is just there for fun. And gossip, of course. I don’t thinks there’s really a connection outside of the bedroom… and Dryco knows this too! Nelia…. She is in a tough spot. Abusive, disease ridden husband. She has a strong connection with Dryco. She’s tough, a great cop with bigger dreams she had to put on hold. Why cant she be single? Dryco belongs with her, out of all other options so far. To the point now… There’s a killer on the Parkhurst campus. After the first murder, the FBI is called in. Only after a letter containing music is found Dryco was called to consult with them on the case. He’s teamed up with his old partner, ‘Sarg,’ and we get the answers for why he left the FBI. The murder is at first believed to be due to some kind of love triangle. When a second victim shows up, things change quickly. The FBI and local police believe it was a murder-suicide. Luckily Dryco didn’t believe that, and refused to give up searching for the truth. After a string of arsons, Dryco had a good idea of where she was being taken to. After leaving Nelia in the car to call for backup, he goes in alone. Not noticing an alcove gets him drugged and knocked out. When he awakens, he notices Nelia peaking around the corner where no one else could see had noticed her. He gives a signel and on three they jump into action. Startling the murderer, who knocks over a bucket of gasoline (close to a fire), and his female accomplice who takes off running. I received a complimentary copy of this book from the author in exchange for an honest review. All thoughts and opinions are my own. Gone is the first novel in the Gone saga, a trilogy of psychological suspense thrillers. If you enjoy page turning suspense with constant twists and turns, then you’ll love this nail-biting read. Macy thought she knew exactly what she was doing. All her friends were dating, and going out on weekends. Not Macy, she wasn’t allowed to date until she turned 16. So she decided to take things into her own hands. After chatting online with a sweet, caring, baseball player from another town Macy decided to meet up with him. She snuck out of the house to meet him at a park to go ‘hang out’ at the mall. When he was running late she received a text saying his dad would pick her up(alarms going off). When the ‘dad’ showed up a few minutes later, Macy started having second and third thoughts. After ignoring her bad feelings about this, she jumped in the truck with him. After he makes a wrong turn Macy decides she wants out. Only, he doesn’t let her. He locks the doors, and she realizes it wont open. She is at some point knocked out, and put in the back of his truck. Although she’s a vegan, and he already knew this, he makes her eat a greasy burger. That’s just the beginning of her problems. Macy then has to be Heather 24 hours a day. Its hard for her. She is trying to keep who she really is while pretending to be someone else. Her only hope of escaping becomes her ‘grandparents’. Although they are really Heathers grandparents, and didn’t realize she wasn’t Heather, they strike a bond. Gone is the first book in the Gone Series by Stacy Claflin. I for one, will be reading the rest of this series. Macy is such a brave young girl, I really hope she escapes. Maybe putting her capturer in the place he belongs once and for all. Cant wait to see where this series goes, and how everything works out! Firefighter Kane McCormick is one of the younger guys down at fire station 9. While he is charming and attractive, he has a quick temper that often gets him into more trouble than he’d like. When one unlucky night lands him behind bars, Kane is forced to deal with the hard reality of his mother’s rapidly deteriorating health. Experience by experience Kane begins to see how much bigger God is than his problems. Just as he thinks he has it all figured out, a family secret comes to light that might ruin everything. Fire can destroy, but it also can cleanse. It holds the power to make new what was once old. It is through these fires in our lives that we are refined into something more than we once were. When we lose ourselves, we gain Jesus. Out of the Ashes is a contemporary Christian romance novel that dives deep into the heart of a believer that is struggling. Kane, just like everyone else, is not perfect, but he has a desire to know God. This Christian Romance novel will inspire you, move you and start a fire in your heart. 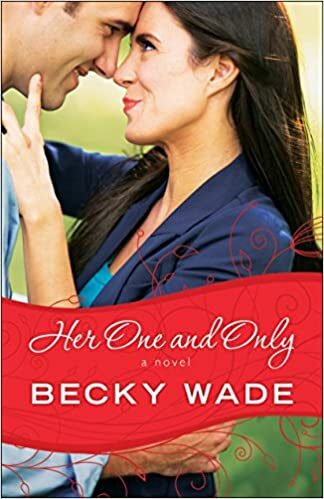 A must read for every born-again Christian reader that is seeking a great Contemporary Christian Romance with a little heat. I knew Kane was going to become someone very special when reading Amongst the Flames. I had no idea though, he would turn out this great. Showing others Gods love is a huge part of believing in Him. Kane shows us just how to do that in Out of the Ashes. With lots of anger already, Kane is suspended from his job as a firemen due to a bar room fight. Then he learns his moms cancer is back. This time though, there is nothing the doctors can do for her. With time off from work Kane decides to watch his nephew for a couple days to let his sister visit with their mom. Kane and Christopher get to become good friends. One day when the electric goes out, they go to the park to play baseball. Christopher had never played before and really liked it. This is where they meet Kristen, and her son Blake. Blake and Christopher became quick friends. Kane and Chris were invited to their church’s barbeque the next day. Thankfully, they went and Chris made a lot of new friends. He was even invited to a LAN party that night. That was also the same time Kane’s mom took a turn for the worse according to his sister, Emily. When Kane went to visit her that afternoon, his mom wanted to go walk a trail they always went to as kids. He of course took her. The next day he got the news she was gone. This tore Kane up, he went back to that trail with liquor and ended up falling in a ravine. When waking up, Cole was there. After talking, Kane made the decision to stop drinking, and give his life to God, completely this time. After going back to his sisters house and talking with Emily and Chris, he too made the decision to give his life completely to God. Chris even came clean about using drugs to his mom, and admitted he doesn’t feel the need for them any longer. Emily, the once Christian skeptic, didn’t put down on them but didn’t join them either. A few days later they all got a huge shock. They had a brother, and he was given all their moms money in the will. Timothy was given up for adoption when he was born. He’s had drug problems, money problems, and a greedy adoptive family. In a note he received from their mother, he was suppose to use the money for specific things. Honestly, I didn’t think he would listen. Kane had faith in him, and ended up convincing Emily not to contest the will. Kane, Cole, Micah, Brian and Rick all went to a men’s retreat the church along with others in the area were holding. At breakfast the first day a last minute speaker was added. He began his speech talking about the person that changed his life. It was Kane McCormick. Because Kane sought out Timothy, and wouldn’t stop until they talked and got to know each other a little better it changed his life. Timothy decided not to listen to his uncle. He was instead going to follow the list his mother gave him, and do everything she wanted. Timothy also decided to live for God, and gave up the drugs and drinking for good. I know I kind of skipped around some, and left out some stuff too. Please forgive me, but this could end up being a book about a book if I let it. I believe I liked this book better that the first of the series. It shows more real life situations, outside of marriage. And of course, the kindness and forgiveness that is always a part of a true Christian. Love it! Hope y’all enjoy it too. And, if you haven’t yet, go check out TK Chapin. I received a complementary copy of this book from the author in exchange for an honest review. These thoughts and opinions are all mine. OH MY GOSH!!! I’m still kinda shocked, and my face a little tear stained…but Ill try to start from the beginning. Linked brings us a bunch of new characters. I cant agree their all good, but they are obviously needed. Blane is the one you will love, he turn out to be a really great ally. Gregor is in love with Alicia and bordering on crazy. Luca, you will love to hate him. Cant wait to see why he has a HUGE chip on his shoulder though (we will find out?!?!). Then there’s Crystal. Her and Coal used to have a ‘thing’ and she doesn’t want anyone to forget it, or ignore her. These new characters all have a way of making things interesting. On to the story…. There’s a new mission 🙂 Yes, they went again. Only it didn’t work out exactly as planned. They ended up taking a detour to save Maya. She was kidnapped by some idiots! Yes, I say that because they weren’t very smart in the beginning. Did they really think they would get a ransom for her? They were very wrong. She ended up escaping before her friends could make it to her. They all meet up in the forest (Maya, her friends, the men who kidnapped her, and the Creepers!). It was a big fight and the Creepers ran away, crying again 🙂 They did help to save the kidnappers though. Then finally, they get to head for the city!!!! I was so excited for this part. Maya thought her parents were dead for years, she was all alone. Now she knows their alive and she has a chance to free/save them? Well yeah, lets go! But of course other things get in the way. Not only do they have to walk for days but they but also a longggg time walking through mud. This mud just so happens to hide creatures that are eating men…. No thank you! But after the mud they get to spend some time on a beautiful beach. Which was great because they all needed to bathe! Now I’m just sad. I understand sometimes we have to part with characters, but why (tears)!! I am worried about Maya and Alicia. And I’m hoping Taylor doesn’t get any ideas now…I still don’t think he has a chance, just saying! I guess I have rambled on enough… Even though I have a million more things I could say, I’m afraid I’ll be ruining it for you 😦 So check Susanne Valenti and Cage of Lies out!!! I received a complimentary copy of this book from the author in exchange for an honest review. These thoughts and opinions are all mine.